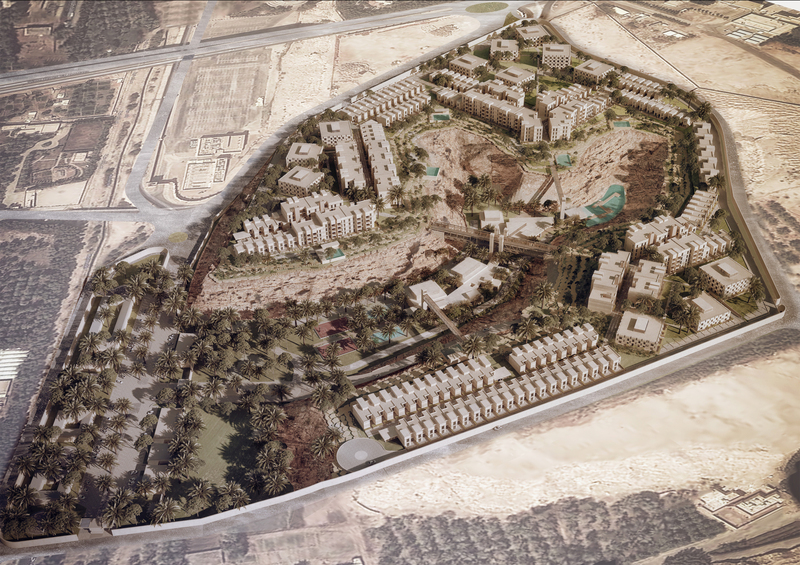 Wadi Al Hada is a premium, ultra-luxury western expatriate residential compound that aims to provide a 5-star resort comfort and luxury in the very homes of its tenants. 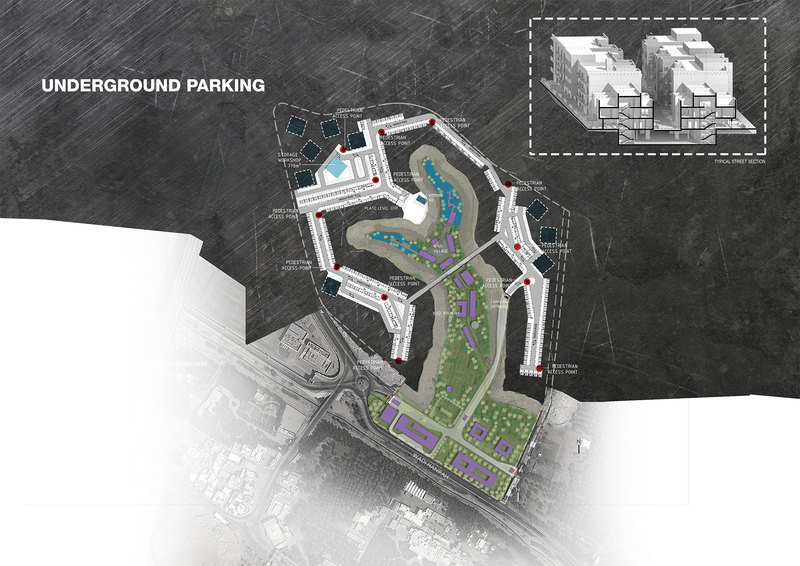 The nature of the land and the award-winning design are a unique combination not only in KSA but also in the entire GCC. 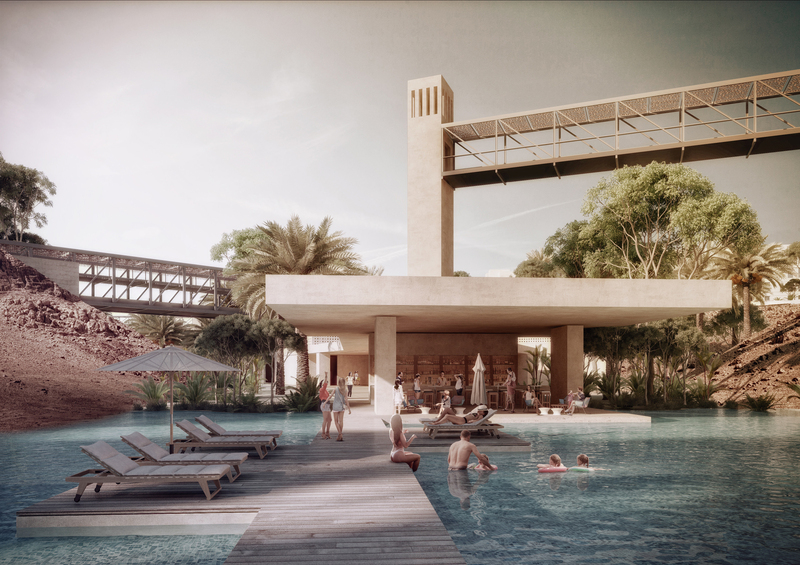 From building technologies to premium-quality of finishes, first class branded material to smart high-tech systems, amenities to VIP services, Wadi Al Hada will become the first-of-its-kind, and change the compound trends in the Kingdom from the ground. 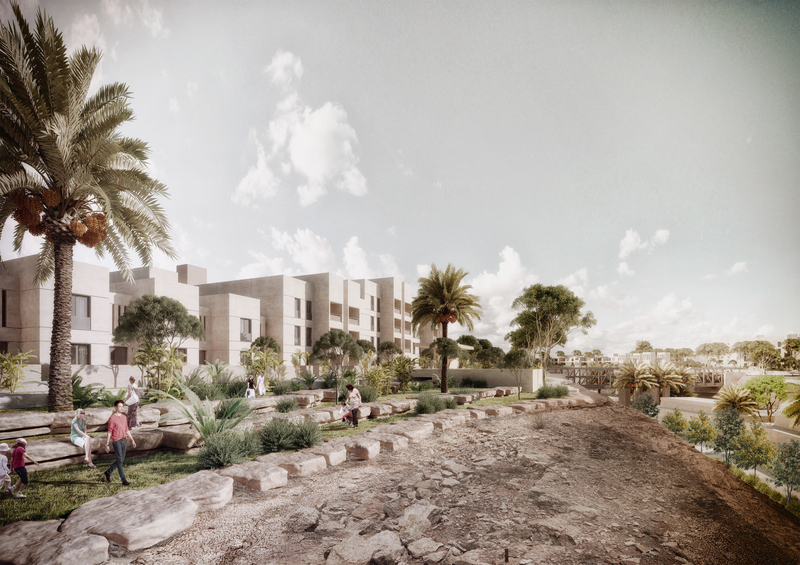 The aim is to create the type of contextual architecture that would render the compound as an integral part of settlement strings throughout the history of Wadi Hanifa. 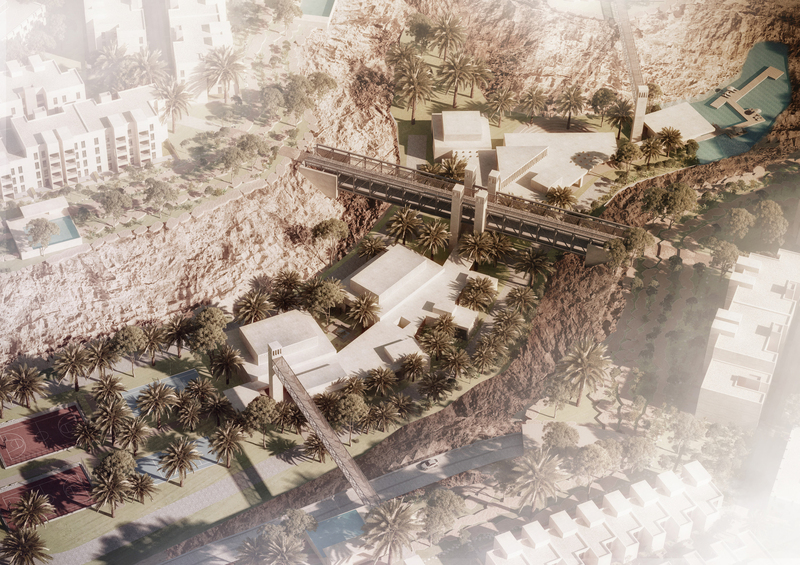 Therefore, the design is not a mere multiplication of modern units sealed in a secured zone but rather an urban environment embedded in the culture of the wadi; a ‘place’ to live and enjoy the Najdi landscape. 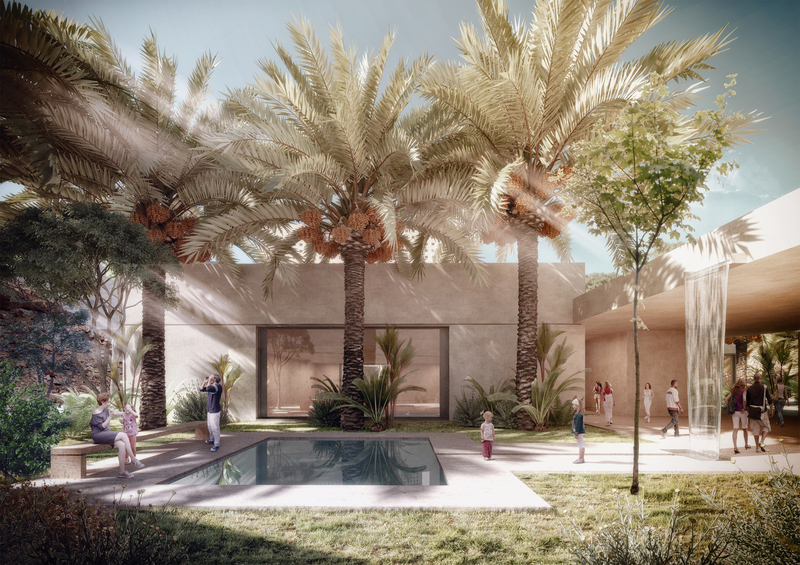 The project is not only harmonious with the background of wadi and with the patterns and styles of traditional buildings in the region but also stands in absolute compliance to privacy and security needs of a compound. 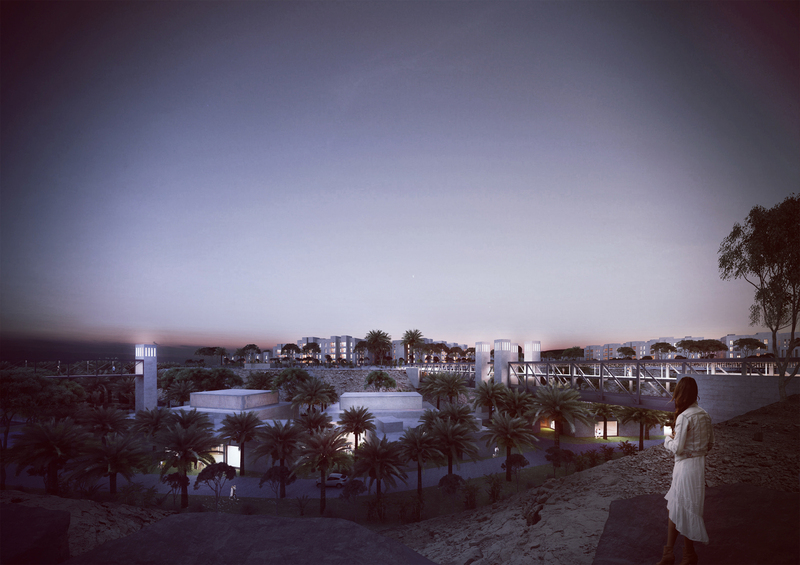 The wadi facilitating the amenities is vaguely divided to different sectors. Starting from the main security, one finds a shopping strip right behind the gate. 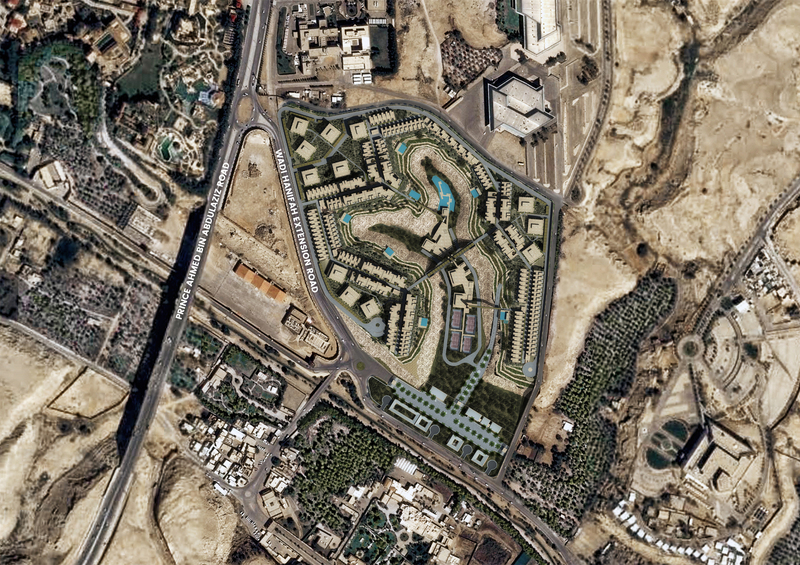 Centrally located roundabout separates a recreational complex reserved for the VIP from the main circulation. After the roundabout before the ramp, a center for children is located with a nursery and entertainment units both for children and their families. At the foot of the bridge where the street forks, one finds the wadi village with its entire social, recreational and sports facilities. Further towards the tip of the forking valleys, there are two ponds and beaches for the ones who enjoy tranquility. The plateau is mainly reserved for dwelling units. A portion of pools and playgrounds are distributed in and around these units for immediate use. The edge of the cliff is aligned with a pedestrian street having townhouses and villas of two floors on both sides. 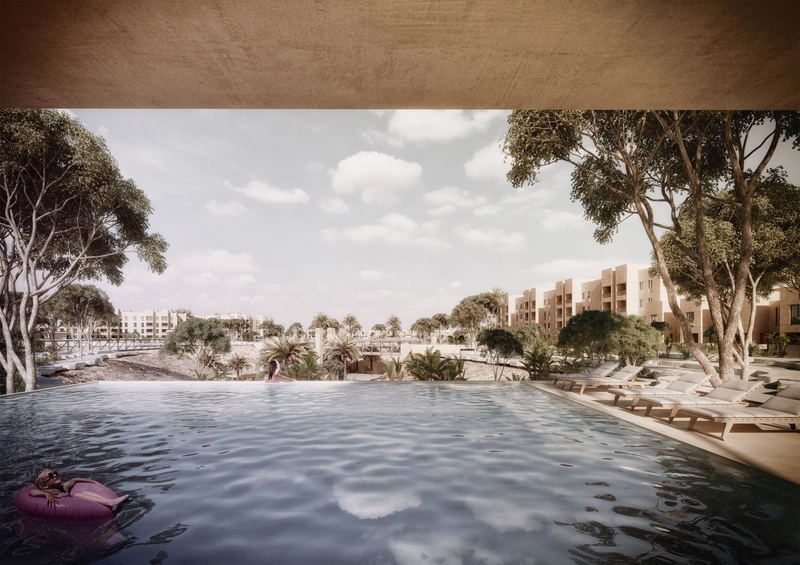 Right behind this strip, where the site gets some depth, four story apartment blocks are situated in oblique angles to provide perspective both to interstitial spaces, to the wadi and to distant views. It is predominantly a pedestrian environment, a firmly knitted fabric following the tradition of mat building quarters of the region, ensuring the human scale and the comfort of shaded outdoor living for its inhabitants. A sequential strategy is applied where spaces are linked to each other via streets, passages, bridges, courtyards and urban squares at the hinge points. 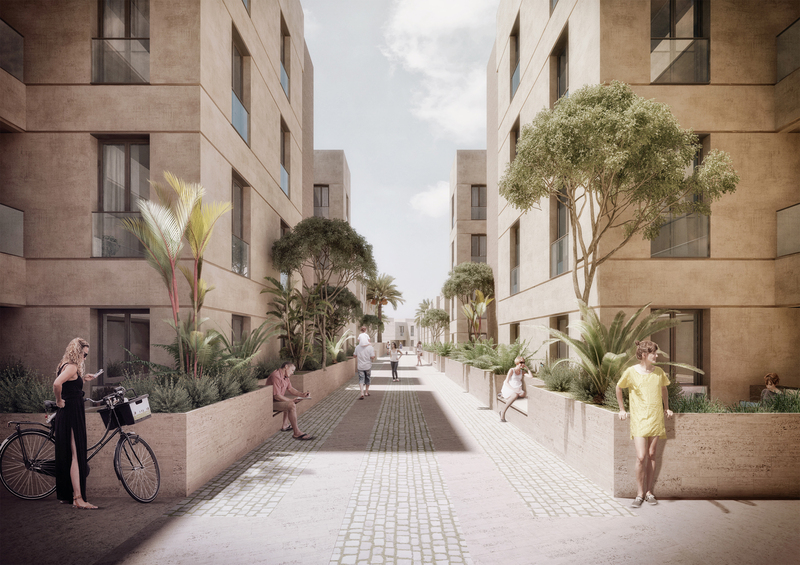 Streetscape reveals an urban character, critically dimensioned to create a sense of pedestrian scale and shade overcast by the walls framing either side. Entrances to units are through courtyards which mediate between public and private, a transitional space providing depth to the streets. Altogether, the urban fabric deploys a delicate balance of density, just enough to secure a sociable environment.